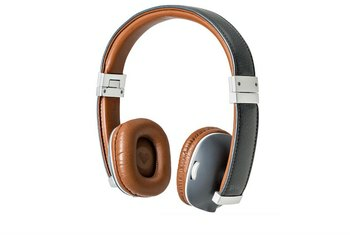 Some people will be drawn to the handsome design and the construction materials--leather and stainless steel. 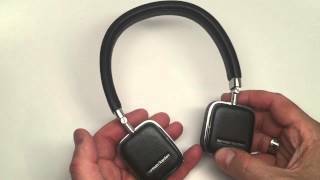 These compact headphones fold flat easily and can be stored in the Harman Kardon carry case. The Soho Wireless includes a cable for wired listening--handy if you want to keep your music going when you're out of juice. The swipe-based control pad takes some getting used to, and it's not always responsive to touch. Audio hounds may be underwhelmed with the lack of detail--particularly when it comes to the bass, which can sound muddy. The headband would feel more comfortable with additional padding. Sleek and stylish is one way to describe the wireless sibling to the (older) wired Soho headphones. 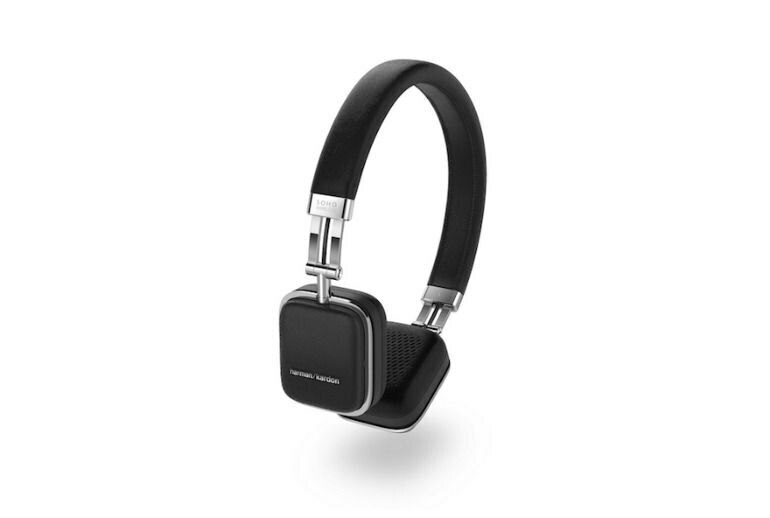 The Soho Wireless headphones sports a stitched leather finish with stainless steel accents. The headphones collapse, so you can pop them in the included pouch for storage. 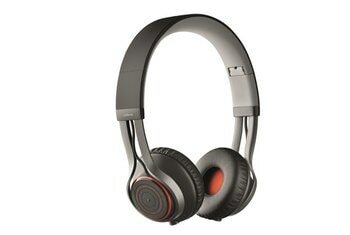 The outer panel of the right earcup houses touch-sensitive controls, which let you manage your music, adjust volume, and handle calls. In real-world tests, the Soho Wireless delivered approximately six hours of battery life. We found Soho Wireless’ touch controls to be problematic, and frankly, a bit silly...You can’t feel the controls, though, so sometimes you’ll get them to work properly, and other times, you definitely won’t. All the while, people around you might wonder what’s wrong as you tap and rub at your ear in vain. Orchestral tracks, like the opening scene in John Adams' The Gospel According to the Other Mary, get plenty of added low-mid presence, which brings out the lower register instrumentation in an exciting, if not completely accurate, way. Purists won't be thrilled with the added bass presence, but most listeners will enjoy it. A customized fit is permitted from both the...hinge (swiveling 180 degrees) in conjunction with the soft padding on the ear cups. The Soho Wireless better accommodates this author’s large cranium; however, extended wear was not ideally comfortable. 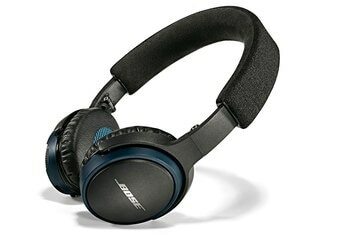 The big extra feature is the touch sensor built into the right earcup...I sometimes had to swipe a couple of times to advance tracks, but overall the touch controls worked well for me and I came away thinking they were a definite plus. I achieved just over 9 hours of continuous wireless play before I needed to charge again, which is a surprisingly good turnout for such a small package...Calls come through without a hitch and the built-in microphones could pick up my quiet, inside voice as well as my "shouting outside in the streets of Manhattan" voice. The Soho are pretty comfy on the ears once you get the square pads situated, though it can take a while to get the earpieces to cooperate. Our only real complaint, however, comes from the leather headband, which offers very little in the way of cushioning. 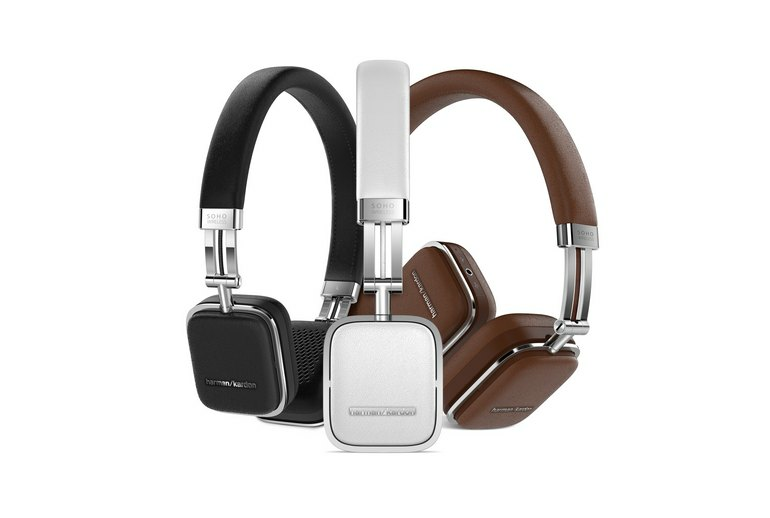 The Soho Wireless offer warm sound—perhaps too warm. These headphones aren't for anyone who likes precise and strong vocals: the high relative level of the bass all too often masks the mids, i.e. vocals and guitars, and the whole sound experience lacks "percussiveness." 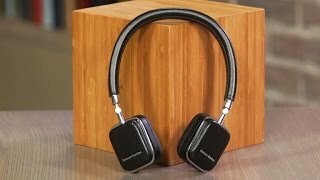 Don’t let the light weight fool you: These headphones are sturdily built, with a leather-wrapped headband and flexible metal frame with soft rectangular ear pads. The well-padded muffs sit comfortably on your ears, but the headband could use more of a cushion. 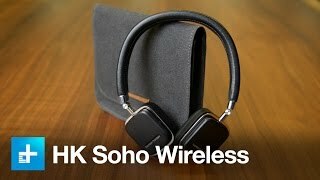 Sonically, Soho Wireless is a middle-of-the-road performer for its price. As the 30mm drivers inside are atypically small, there are points during listening when they seem to be straining to reproduce the frequency range–notably the bass–of larger headphones such as [the Beats] Solo 2. 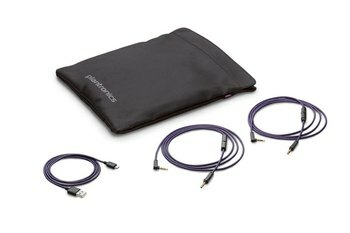 To complete the overall stylish package, Harman Kardon also includes a snazzy gray carrying case, that honestly we wouldn’t mind carrying around as a clutch because it’s quite the classy case. One thing that was interesting to me was how petite the headphones are. The earcups are small rectangles—these are on-ear designs...For such small headphones, I was also surprised by the sound. They have a very natural, accurate sound. Once I got the [hang] of where and how the controls work I was able to raise and lower the volume, advance and repeat tracks, and play and pause my music without issue. 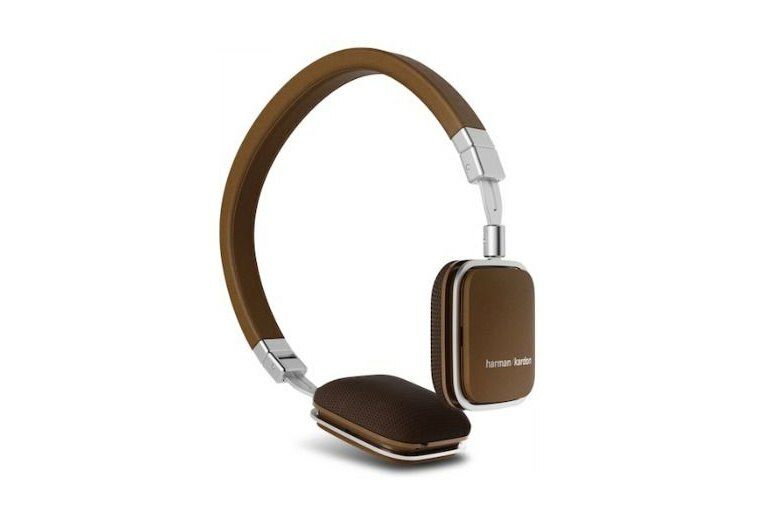 Having used other headphones with touch controls I found these to have the best responsiveness I have seen. The Soho Wireless’ headband and ear cups fit nicely on my head and ears. Both are comfortable and fit well. Though they did slip off every now and then when I was puttering around the house, getting things accomplished.